Christy joined Marks Education Test Prep Tutoring Division with over 15 years of prior experience across the education sector. She has an extensive background in classroom teaching, private tutoring, and education policy. In the classroom, Christy taught in all middle school subject areas, designed and led the implementation of her school’s middle school mathematics and science curricula, and built a thriving musical theater program. Throughout this time, she also privately tutored numerous middle and high school students in the ACT, SAT, and various academic subjects, and she directed a summer performing arts camp for elementary and middle school students. 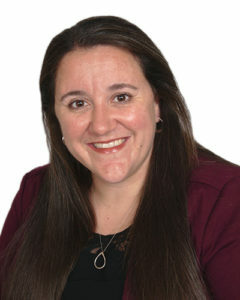 Christy and her husband relocated from Minnesota to the D.C. area in 2008, where she earned her law degree from George Mason University. After law school, Christy served as a Presidential Management Fellow with the U.S. Department of the Interior and U.S. Department of Justice, managing education outreach programs and practicing education law. Most recently, Christy worked as the Director of Policy & Research at 50CAN, a national nonprofit that advocates for more effective state laws and local policies in PreK-12 education. Christy focuses on building strong personal relationships with her students, identifying each student’s unique needs, and crafting individualized plans aimed at maximizing success. Christy has a B.A. in Child Psychology and an M.Ed. in Elementary Education from the University of Minnesota, and a J.D. from George Mason University. Want to work with Christy?